Originally, Whipping Girl and I were not intending on visiting Shima-Ya. In fact, we were on our way to Malay Curry House. However, after battling Kingsway construction traffic, we were dismayed to find out the place was closed for a few days. Undeterred, I actually had a backup plan this time and off we went to Shima-Ya. 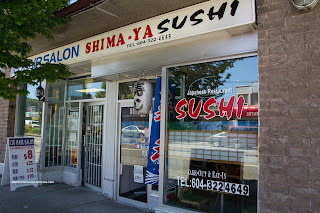 We were actually pretty excited about our this plan because Shima-Ya happens to be a Japanese-run sushi joint. As much as they may seem insignificant to some, real Japanese food is a real treat. And why is it a treat you may ask? For one, the flavours are noticeably different. Instead of sickeningly sweet sauces, there is more balance and purpose. 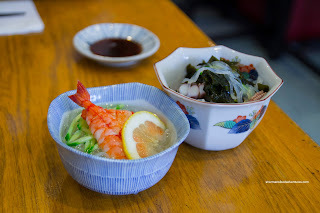 Case in point, we had both the Ebi and Ika Sunomono ($4.50) and the flavours were much less sweet and balanced. The noodles were toothsome and thick while the other flavours, such as the seaweed, squid and shrimp were not just bystanders. Next, we decided to try the Shima-Ya House Special Roll ($15.00) consisting of real crab, scallop, asparagus, avocado, tobiko, lettuce and mayo. Normally, real crab gets lost in maki sushi, but not here. The whole pieces of dungeness leg meat was impactful in terms of both flavour and texture. The buttery sweet scallops and the rest of the veggies were mild enough to not interfere with the crab meat as well. 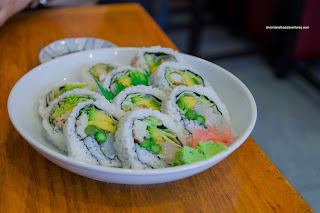 As for the sushi rice, it was a touch dry, but nicely textured and mild flavourwise. 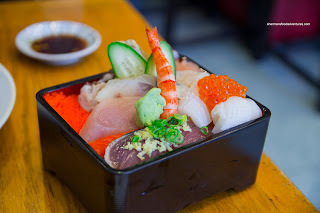 Since Shima-ya is a sushi bar, we stuck to the raw stuff with the Chirashi Don ($20.00). It was on the pricier side, but the abundance of quality ingredients (bonito tataki, ika, mackerel, salmon, tuna, hotate, ebi, tamago, ikura and tobiko) and flavourful sushi rice provided justification. 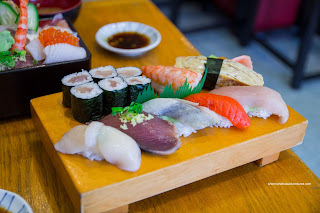 Mirroring the same ingredients, we had an order of the Assorted Sushi ($15.00) consisting of 7 pieces of nigiri and a tekka roll. Exhibiting the same qualities of the aforementioned items, we were happy campers. 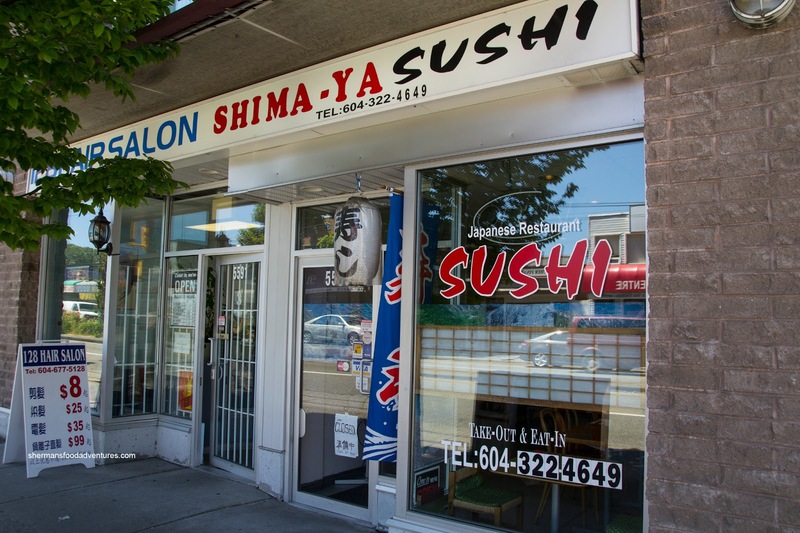 Hey, if you're a sushi connoisseur, Shima-Ya is a good option with a traditional menu. On the other hand, if you are looking for value Japanese food instead, you might want to look elsewhere.